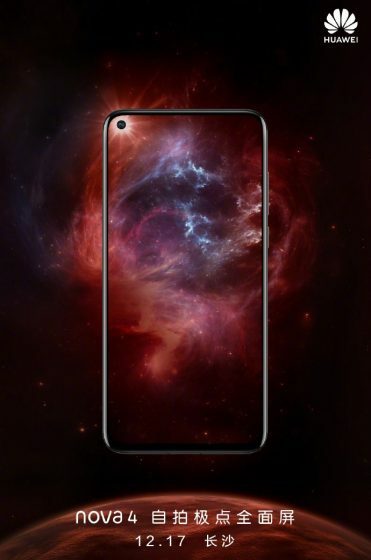 Putting an end to the incessant flow of teasers, followed by the recent leaks, Huawei has today taken to Weibo to confirm that its upcoming smartphone with a punch-hole selfie camera would be the Nova 4. It’s officially scheduled to debut in China on December 17. Huawei today took to its official Weibo page to confirm not only the launch date, but also give us a better peek at the device, that will be its first with a punch-hole camera cutout. 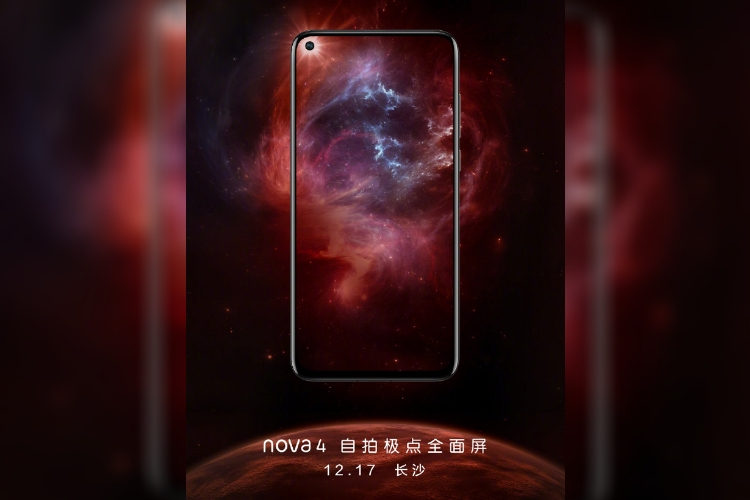 The Nova 4, as you can see in the launch date teaser below, has an almost negligible top bezel as compared to its predecessor and a smaller chin at the bottom. The selfie camera now sits in a cutout in the top-left corner of the display but it still remains to be seen how it’d affect the overall user experience. As for the specifications, the Huawei Nova 4 would carry forward its budget flagship tag and be powered by the company’s flagship 7nm Kirin 980 chipset – that also powers the Mate 20 Pro. It’s expected to be coupled with up to 6GB of RAM and 128GB of onboard storage. We might not know the exact screen size of the Nova 4 but we can expect it to have the highest screen-to-body ratio on any Huawei device to date. The sole selfie camera here is expected to be coupled with a triple rear-camera setup as more sensors are now becoming the norm. You can get a better look at the device via the leaked images right here. Huawei has decided to take a leap and be the first smartphone maker to unveil a device with Samsung’s Infinity-O display. 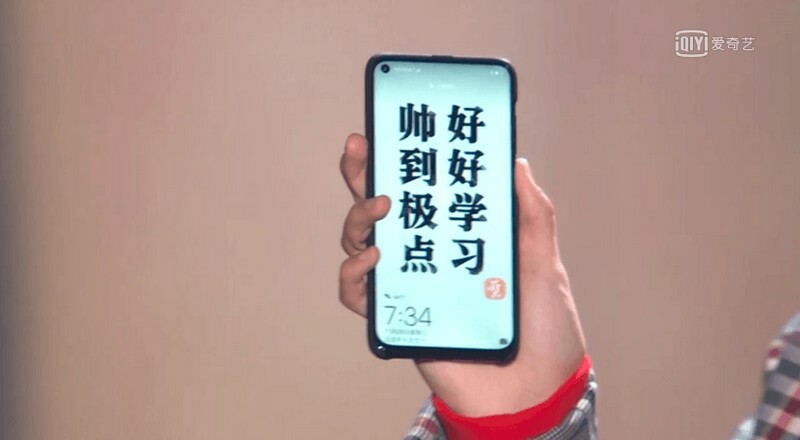 There’s no information on the pricing and availability details for the Huawei Nova 4 just yet, so stay tuned for more updates. The Nova 4 is expected to debut in India next year, meaning we can be prepared to bid adieu to the notch very soon. What are your opinions on the punch-hole camera cutout? Does it look better than the hideous notches? Let us know in the comments down below.